Windows XP/Vista/7 drivers are included as well as support for Linux. The drivers provide IRQ sharing, advanced UART support and serial diagnostic utilities. 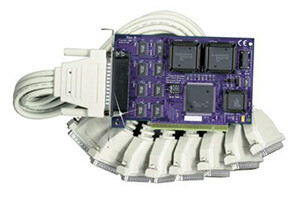 참고: The OMG-COMM8-PCI cards come with driver software, eight-port cable and operator’s manual. To order with optional 16654 UART, contact das@omega.com for more info.